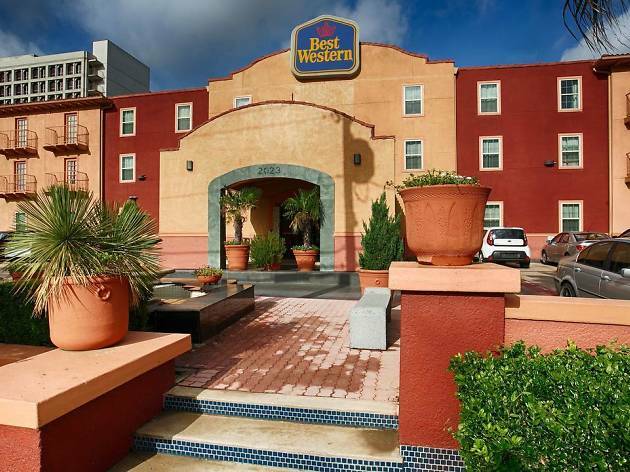 The Best Western Market Center hotel is in the Design District of Dallas, a few minutes from downtown. 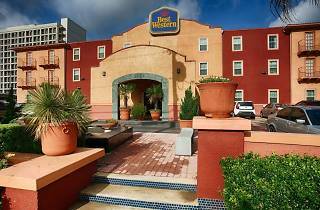 This location is superb for both business and for leisure travelers. The leafy streets of this eclectic neighborhood are lined with interior design showrooms, art galleries, antique stores (especially along Dragon Street) and upscale restaurants. The hotel recently underwent renovations. The non-smoking rooms and suites include cable and satellite TV, a free local call under 30 minutes (enough for booking a table at nearby FT33 or Oak restaurants), coffee and tea making facilities, a hairdryer, a safe and toiletries. There's also free Wi-Fi, hotel parking and a hot breakfast buffet. If you are travelling with your family, know that up to two children stay free of charge if using existing beds. Take advantage of the outdoor pool, fitness facility and location—you’re less than two miles away from attractions like the Perot Museum of Nature and Science and the Dallas World Aquarium.